National officers of the NUJ and officials of the electoral committee in Ekiti took to their heels when the NUJ Ekiti state election turned violent. There was pandemonium at the secretariat of the Nigerian Union of Journalists in Ekiti state on Wednesday. Hoodlums suspected to be sponsored by the outgoing chairman of the union, Laolu Omosilade stormed the secretariat where election of new officers was ongoing. Their mission was to disrupt the process. 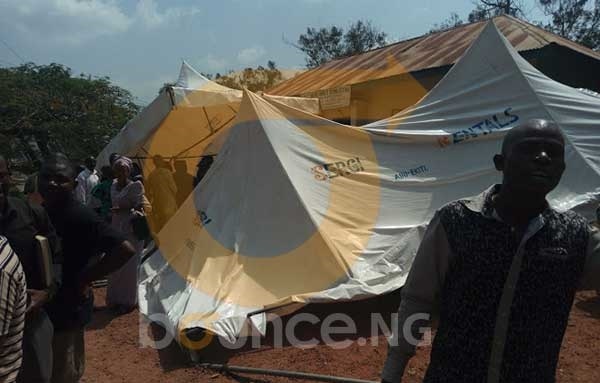 Trouble started when staff of Broadcasting Service of Ekiti State (BSES) and some staff of the information chapel became unruly with claims that their voting numbers got reduced by NUJECO. All hell was let loose when the imported hoodlums gained entrance into the election room and vandalised ballot boxes and every other electoral material. Officials of the electoral committee and the national officers of the union who had come to conduct the election took to their heels seeing what the election was turning to. Omosilade who is also a staff of the BSES served as two term chairman of the union from 2011 to 2017.